It seems in Switzerland people drink a lot of coffe. A large choice and what to buy ? 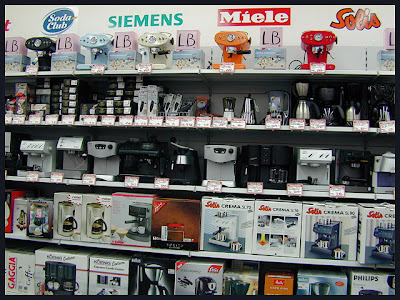 Is it a shop specialy for coffee makers ? Yes, lots of coffee drinkers here. 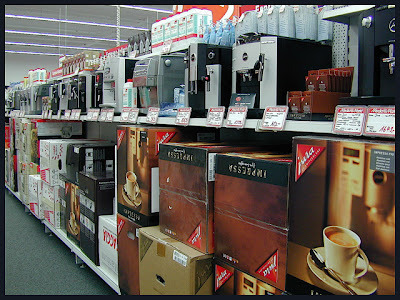 The shop is MediaMarkt, I think maybe similar to FNAC (without books) but German, so coffee makers are just a small part of what they sell. 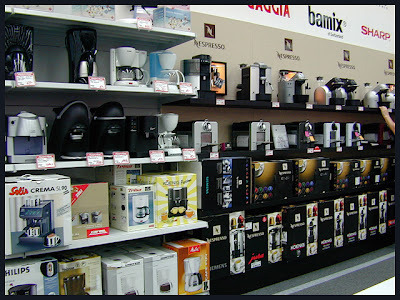 Without doubt, all the coffee makers of the world !